AUGUSTA, Ga. – Fred Couples let the news slip in a post-round interview on Monday at Augusta National. "Tomorrow we have another nice little group," he said. Couples had already had a nice little group; he, Justin Thomas, and Tiger Woods had just finished playing the front nine on Monday afternoon. But Tuesday? Phil Mickelson, Tiger Woods, Fred Couples and Thomas Pieters. "Me and Thomas may just sit back and watch," Couples said. Mickelson is famous as the ringleader of Tuesday fourball matches, and although it's likely this iteration will just be nine holes, it begs the question: what will the teams be? 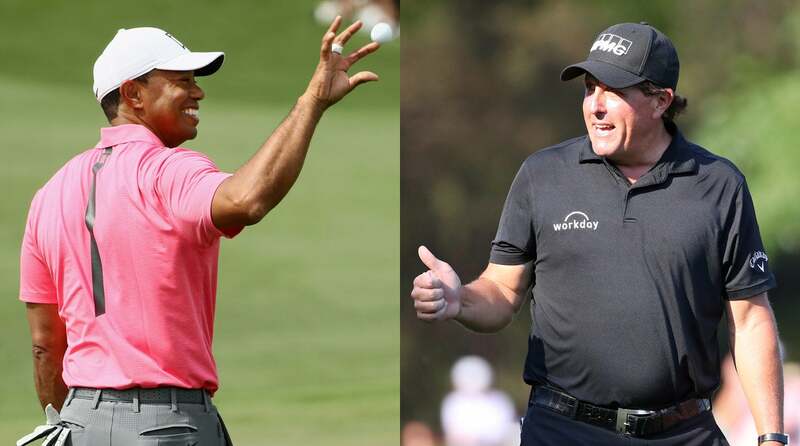 Will Phil and Tiger face off in a practice round showdown? Or will they run back the inauspicious Ryder Cup pairing from 2004, when the two lost both matches to the European side on the way to an 18.5-9.5 drubbing? One thing is for sure: plenty of fans will be on hand at Augusta National to find out.